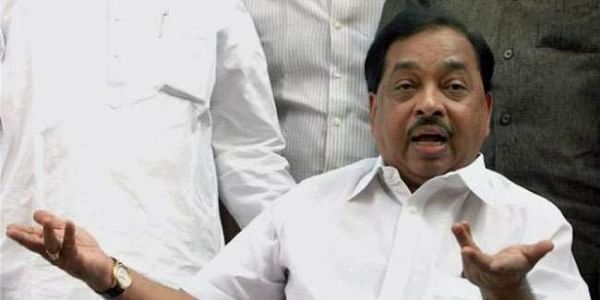 MUMBAI: Former Congress leader Narayan Rane today claimed he was not allowed to fight for the recently held Maharashtra Council polls as Chief Minister Devendra Fadnavis felt it would have repurcussions on Gujarat elections. The former Chief Minister of Maharashtra, who was speaking to a Marathi news channel in Sangli, also claimed he will become a minister in 2017 itself and there was no pressure on him from the Shiv Sena. "I would have won the (recently held Maharashtra) Legislative Council polls. However, the Chief Minister felt this election could have repurcussions in Gujarat election. Hence I was not given a chance. Prasad Lad filed his nomination and won," Rane claimed. "I will become a minister in 2017 itself irrespective of the Gujarat Assembly poll results. From what I have understood by talking to the Chief Minister, I will be asked to join after the BJP forms its government again in Gujarat," Rane said. He further said the BJP will win Gujarat polls, though it will have to face tough competition from the Congress. Rane had in September announced his resignation from the Congress. The 65-year-old Maratha leader, who was the chief minister in 1999 while in the Shiv Sena, had formed his new political party, Maharashtra Swabhiman Paksh, which became a part of the NDA.